Fisticuffs, carriage surfing, and, er, rope launchers? All traditionally Victorian pastimes according to this latest slice of game footage from Assassin's Creed: Syndicate. It wasn't unveiled at the Ubisoft E3 press conference, but was fortuitously uploaded at the same time as the on-stage CGI trailer. You can see that horse-destroying cinematic below, cor blimey yes you can guv'nor. Assassin's Creed: Syndicate is, as you've probably guessed, set in London. 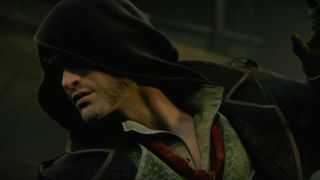 Gang warfare is the theme this time around, and you play as two characters—both Jacob Frye and his sister Evie. It's due out on October 23.